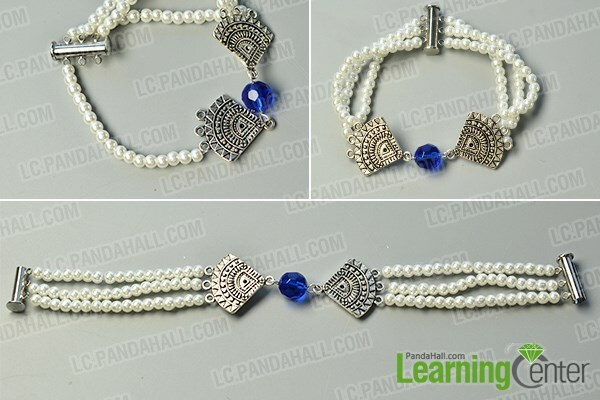 Summary: This tutorial will show a 3-strand bracelet with pearl beads to you all, if you are searching for pearl bead bracelets, then this one will be a good choice for you. Do you have seen fan bracelet or other fan jewels? 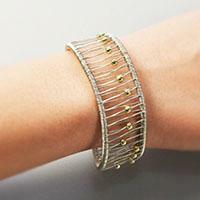 This pearl bead bracelet made with fan links is quite unique and elegant. 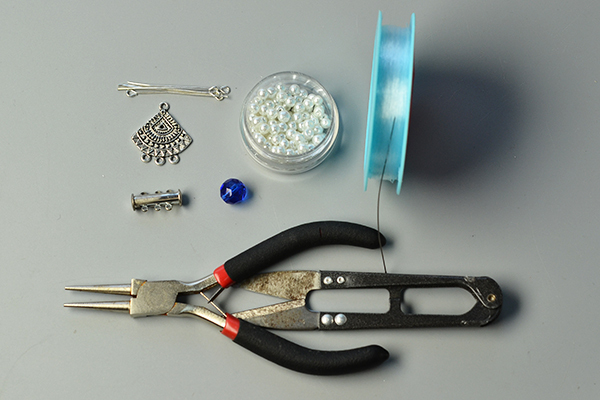 Here I will tell you how to make a pearl bracelet with fan links and glass beads. Follow me to see now! 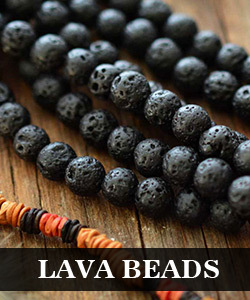 4th, repeat above processes to make other 2 pearl bead strands as pictured. 2nd, continue to make other 2 pearls strands with fishing wire, and all the wires are the equal lengths. 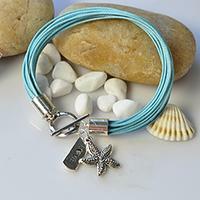 Here is the final look of the fan bracelet. Now I’ve finished this fan bracelet with pearl beads quickly, do you like it? If you are interested in pearl bead bracelet as well, try to make this one! I can bet you will be satisfied with your final work.